Then I began to talk to myself. ‘Why exactly are you a 3?’ I said. I quickly realised that I actually had very few reasons to feel so down and had lots of things to feel positive about. So I decided to change my number. ‘Today I will be a 7!’ I exclaimed with glee in the shower. My husband overheard me and shouted, ‘What? !’ I shouted back, ‘I’m going to make myself a 7 out of 10 for happiness today.’ I think he was relieved to hear it to be honest. Even though I said it with such enthusiasm, in the back of my mind, I was still a little sceptical. Did I really have that much power over my mood to just decide I was going to be happier that day? The result really surprised me! I actually was a 7 all day! Absolutely amazing! 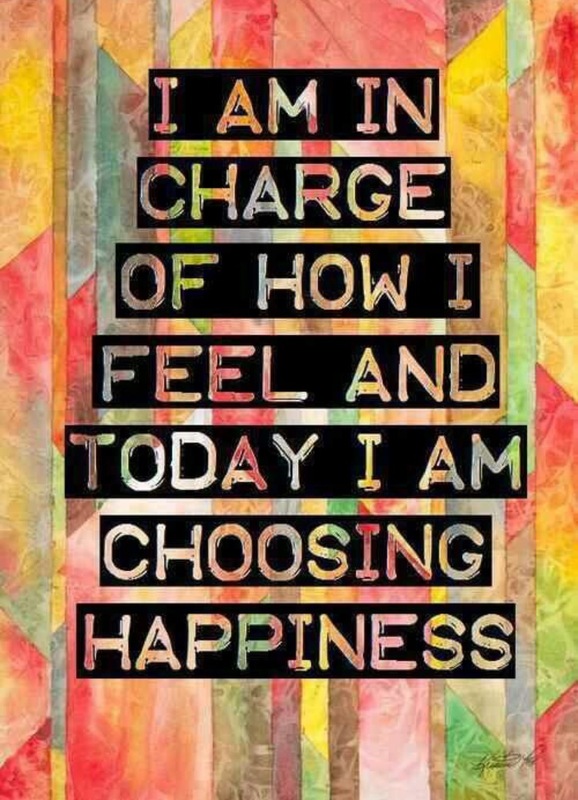 What I am finding with Happynesshub is that I am so much more in control of my mood. Previously, if I had felt like a 3 in the morning I would have accepted my low mood, put my pjs back on, eaten ridiculous amounts of cheese on toast (my comfort food) and watched DVD box sets all day. Not surprisingly, this sort of behaviour had absolutely no impact on improving my mood at all and frankly just made me feel lazy, sluggish and even less motivated. Just the simple act of making a conscious decision and choosing to be happier in the morning meant I didn’t actually have to do a massive amount to lift my mood. I think it’s just about being self aware, mindful and recognising that your level of happiness is mainly governed by your attitude rather than by external circumstances. The research behind the daily Happpynesshub hints really is fascinating stuff and it is definitely having a positive impact on my overall sense of wellbeing. Throughout my Happynesshub journey so far I am definitely getting much quicker at cheering myself up and taking control of how I feel. I am learning a whole new set of skills and I am so grateful for the opportunity. Tomorrow I might even go for an 8! Very inspiring Rachel….I am going to think of you tomorrow morning when I wake up, usually tireder than I was going to bed. So happy we have the Durrels to watch tonight…makes me very HAPPY on a Sunday evening and makes up for the loss of Downton! Ooh I haven’t heard of the Durrels but I loved Downton. Nothing like a good tv series to help overcome the Sunday night blues! vehicle is that if I had not got involved in the Happiness Hub and its philosophy the obvious would not have become apparent. Hear hear! I totally agree! It seems so simple when you know how!